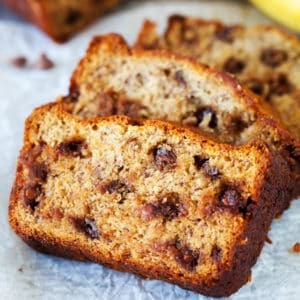 Chocolate Chip Banana Bread is perfect for an easy weeknight dessert, a quick breakfast, or for when it’s your turn to bring snacks. Great for beginners and for using up bananas that have seen better days. 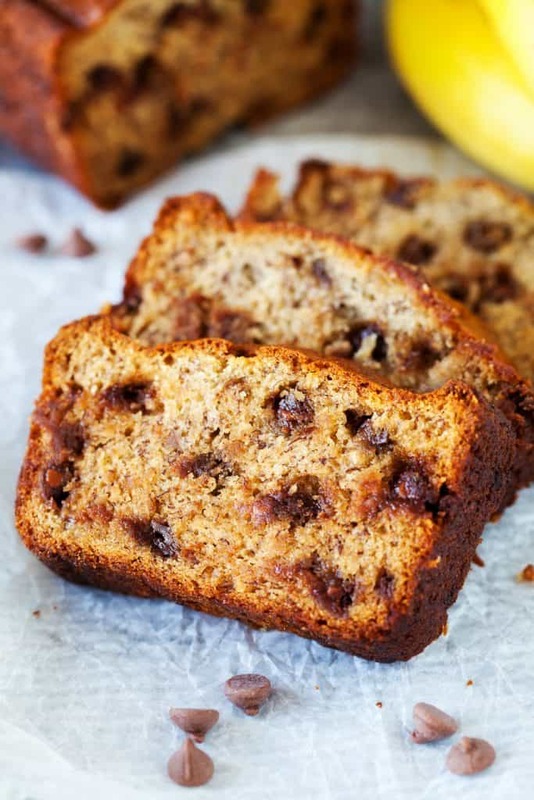 This chocolate chip banana bread whips up in minutes. Trust me, this is the best way to eat bananas! 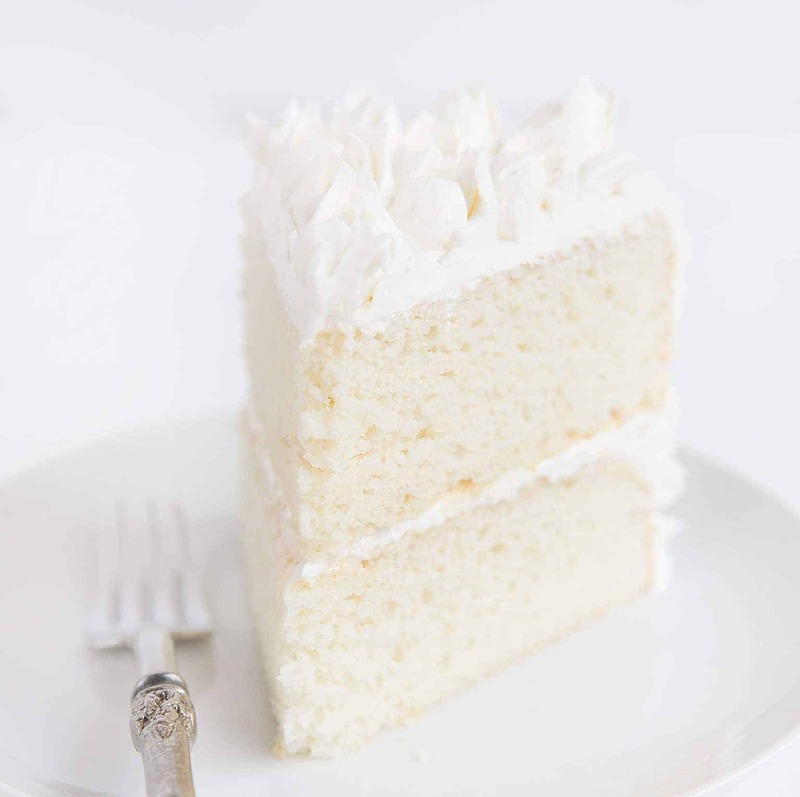 You may also enjoy my Banana Cake, Cream Cheese Banana Bread, or Perfect Banana Muffins! This is the best way to use up those leftover bananas. You know the ones that your kids won’t eat because they have started to get a little brown on the outside. Not only is this recipe the most delicious, but it uses up those brown bananas AND it is quite easy. You can prepare the entire thing in one bowl. (and who doesn’t love less clean up?) The bread is saturated with banana flavor (5 whole bananas!) and the chocolate chips make it completely irresistible. Try adding chopped walnuts along with the chocolate chips. Absolutely sublime! 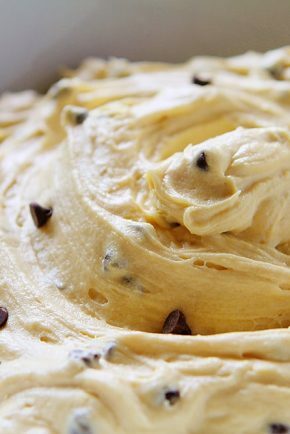 How long does chocolate chip banana bread last? 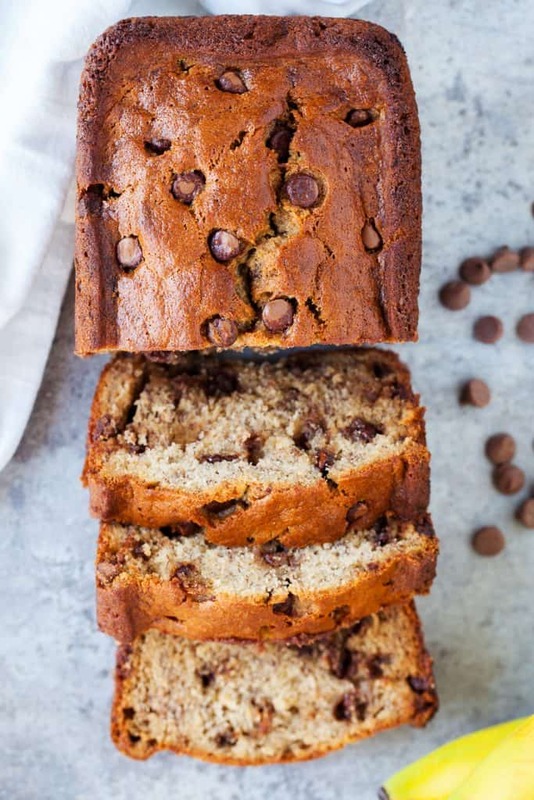 Can you freeze chocolate chip banana bread? Yes! You will want to make sure you allow it to cool completely. Just wrap the banana bread tightly with aluminum foil or plastic freezer wrap and place in heavy-duty freezer bag. If you prefer not to use foil directly on your bread, wrap tightly with parchment paper, then place that into a sealable plastic bag. Be sure to label it with the date. Bread is typically good for three to six months in the freezer, but the flavor will start to dull after about 1 month. To thaw bread, take it out of the freezer and set it on the counter. Allow it to reach room temperature before you take it out of its packaging. It will re-absorb some of its moisture this way. 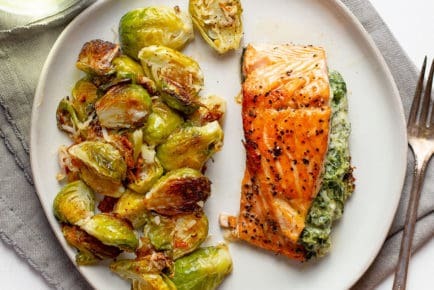 Can you add anything else to this recipe? 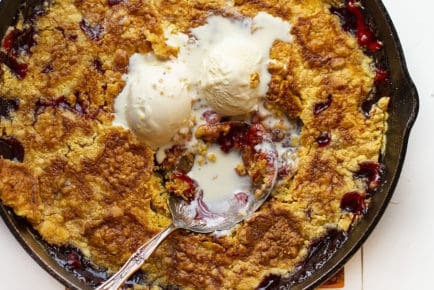 Feel free to add chopped nuts, other versions of chocolate (like milk chocolate chips, white chocolate, dried cranberries, dried blueberries, the list is endless!) or even a fun glaze drizzled over top. Personally, I love this recipe fresh from the oven with a little butter melted into every nook and cranny. 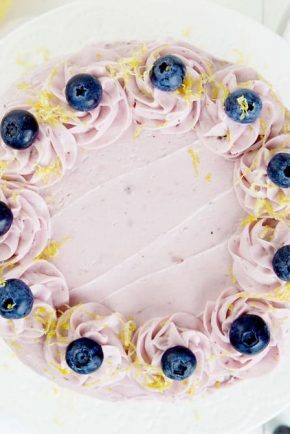 Looking for other banana recipes? 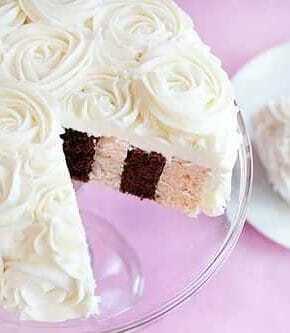 A perfect combination of banana and chocolate! In a large bowl, whisk together the flour, baking powder, soda, and salt. Set aside. In the bowl of a stand mixer fitted with the paddle attachment (or with a hand-held mixer), add the bananas and roughly mash. (There can be chunks, you do not want them pureed) Add the butter, sugars, vanilla, and eggs. Mix until combined. Slowly add the flour mixture. Mix just until combined. Fold in the chocolate chips by hand. Pour the batter into the prepared loaf pan. Place on a rimmed baking sheet and bake for 55 to 70 minutes until a toothpick inserted into the center comes out mostly clean. A few crumbs are fine, you do not want to see wet batter on the toothpick. Allow the bread to cool in the pan for 20 minutes. Run a thin knife along the edge of the loaf to loosen and invert onto a cooling rack. Flip the loaf right side up and allow to cool completely before slicing.